The euro is far from dead. Following successful integration, it will be nothing less than the next reserve currency of the world. In the end, the euro will not only survive but also be strong. It isn’t really the common currency that is currently in crisis, but instead the prevalent ways of managing funds, budgets, and running up debt. In a certain way, our democratic system is also in crisis, since it used to consist of promises made at election time, which would then be achieved through public debts. All discussions about the differences between Northern and Southern states really hinge on this fact rather than the meaning of the euro itself. Wolfgang Schäuble, Germany’s Minister of Finance, underlined this by stressing that anybody who can receive money without conditions would also spend it. It is, so to speak, a conditio humana of anyone, regardless of whether they live in Germany, Italy, or Greece. Consequently, it also doesn’t matter in which currency the money made that way is ultimately spent. Each member state of the European Union now faces an internal struggle to determine how overall politics should operate and and how economic policies should be crafted in the future. The term “growth” inevitably stands at the end of each discussion. Politicians on both sides of the political spectrum employ it frequently, although its meaning differs for each side. Following the discussions – some call them arguments – there will have to be a collective effort in order to translate each country’s different lessons into common directives. In the political realm of the European Union, the challenge will be to shape institutions whilst safeguarding their democratic mandate. I am convinced that Europe has already embarked on this process; the coming months will be decisive. The propositions made by the Union’s four most important actors already signal this direction, just as the ideas uttered by Merkel and Schäuble. Sure, it will take time and the path will be lined with multiple conflicts of interest. Each country faces different conditions that ultimately need to be whittled down to one common set of actions – be it for the members of the Eurozone or all member states. This is why the future of the European Union needs to be planned based on a desired outcome: Should we succeed in establishing common financial policies, common supervision of banks and a European Minister of Finance, it will be possible to create the necessary structures to organize future debt within a common European framework. Over time, the current differences of the European economies – which paradoxically already subside within a common economic zone – will balance themselves out. Eurobonds are a possible measure to implement the end of this process, yet not at the beginning. 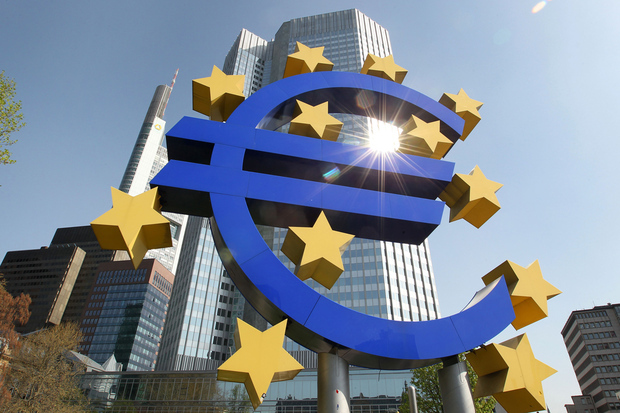 These steps will also succeed in regaining the trust of the infamous financial markets: In Europe, problems are addressed at the root and not overplayed by starting the money presses at the European central bank. Aside from the quarrels among European member states, there is yet another conflict to be solved in in the way economic policies are currently handled. The emerging European solution to the crisis stands in harsh contrast to the American way: Europeans refuse to devalue their own currency through the ECB. And rightly so: Reason must prevail and politics should not be allowed to leverage the central bank or even change its mission. Europe is well on its way in the right direction. If the heads of states now embark on the path towards more integration and sacrifice some national sovereignty for common financial policies, the Euro will be the next global reserve currency. And nobody will even remember this crisis.